Late tonight 10/08/2018 early tomorrow (depending on where you are located) we will be blessed with a New Moon in Libra. Adding to & enhancing the current vibration is the Venus retrograde that has just begun in Scorpio as well as this lunations square aspect to Pluto. All of this (coupled with or because of current events in the USA?) brings our collective attention to feeling a lot of feelings around women, femmes, females, & the feminine divine. Libra is a sign of balance & harmony closely associated with the Divine Mother. The planet Venus represents Love & Money like the goddess it is named after. Scorpio energy is deeeeep, intense, & reactive. Pluto is the planet of Transformation & the seeker of Truth. Any New Moon is a time of refreshing, like a gust of air coming in to stir what was. And it is the year of Awakening with a vibration of the Master Number 11. Sounds like the perfect mix for a Revolution. 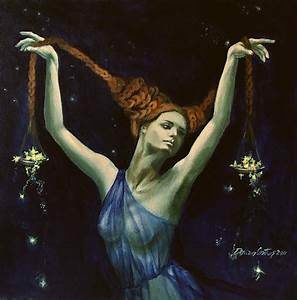 Libra is seeking balance but not through acquiescence or compromise as is typically the case. This harmonizing sign does not usually like to rock the boat but it is ruled by Venus who has just turned herself around & inside out to share a new aspect of herself. She is supported now in transforming (Pluto) the eons of deep scar tissue (Scorpio) into the strength to find true balance through ACTUAL equality. The dismantling of the patriarchy does not mean that women take over the world & all the boys are punished. It also does not mean a bunch of white women are voted in to “shake things up” by pantomiming feminism. It means fully embracing the values of the Feminine Divine: authentic compassion, genuine nurturing, engaged listening, collective problem solving, acting & speaking from a place of love, awareness of self & all that it entails. It means making adjustments in the power dynamic so that there is room for all to have a seat at the table, to have our voices heard & be respected. It means an end to white supremacy & colonial idealism & the indifference that fuels injustice. It means we all have to get uncomfortable & do the work with love for ourselves & enthusiasm for the collective good. There is an inclination now to shout out our fury & lay waste to those that have hurt us. I have written & re-written this piece numerous times because I keep finding myself going into the darkness & losing sight of my goal as the anger closes my field of vision. But I do not want to be exhausted by screaming out into the void or commiserating on our collective pain while either nothing changes or everything is destroyed in the ensuing chaos. I must harness the power of my anger to support the feminine divine as she rises to her rightful place. I have to be willing to get uncomfortable for the progressive views I claim as my own & do better at sharing myself authentically. Anger can be destructive if left unchecked & allowed to rage but pretending nothing is wrong is no longer a choice, our pain won’t stay silent. I believe there is a place in the middle, a path of the balance desired by Libra where we are supported in using our anger as a means to create real change & activate the paradigm shift we so desperately need. To do that though it is critical that we find the strength to stand strongly united without stomping on anyone, to voice ourselves clearly without drowning out others, to declare ourselves sovereign in our fight to hold up the values of equality & justice for EVERYONE. If we truly want to transform our culture, we need to focus our might in ways that allow that to happen without inflicting more pain on others. The patriarchy is not “men”, it is a system of abuse that supports toxic masculinity by standing on the backs of women, blacks, people of color, indigenous peoples, the disadvantaged of all races & creeds (even white working class men), & we ALL suffer. The feminine divine holds space for us to stand beside her so that we can create systems to support each other to live up to the lofty ideals we say we are so attached to. Life, liberty, & the pursuit of happiness for each of us. She even makes space for the divine masculine to rise to his full expression of balanced strength: thoughtful progress, rational protectiveness, resilient curiosity, active seeking of understanding & devotion to reason. So let’s channel our anger into courage, harness our rage to break through old paradigms, & use our voices to say something meaningful. This New Moon empower yourself by seeking ways you can transform your pain into a tool for justice. Reject the antiquated idea that there is only so much in the world & embrace the truth that there is more than enough for all of us. Let’s work together for a better future instead of tearing each other apart fighting for scraps. There is room for everyone to be free & proud under the Libra New Moon! Beautifully written! Thanks for sharing these thoughts with all of us! © 2019 Serafice.com All Rights Reserved.